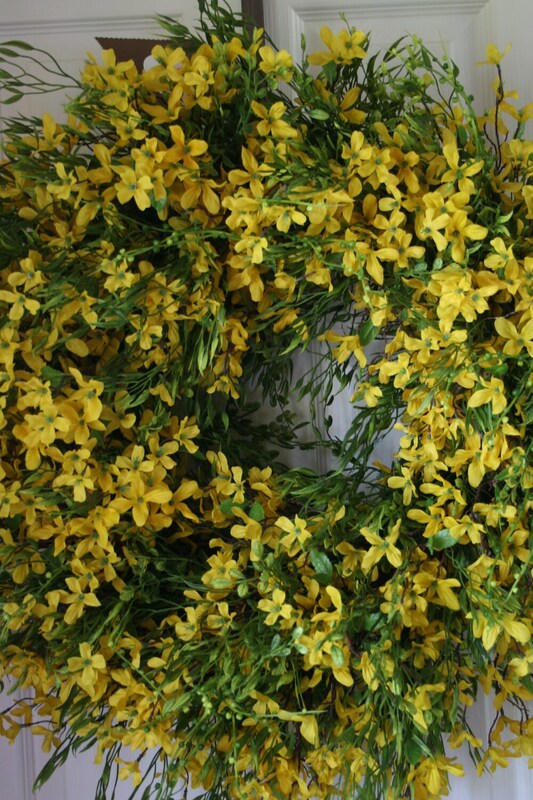 This Sunny Summer Day Wreath is simple elegance. 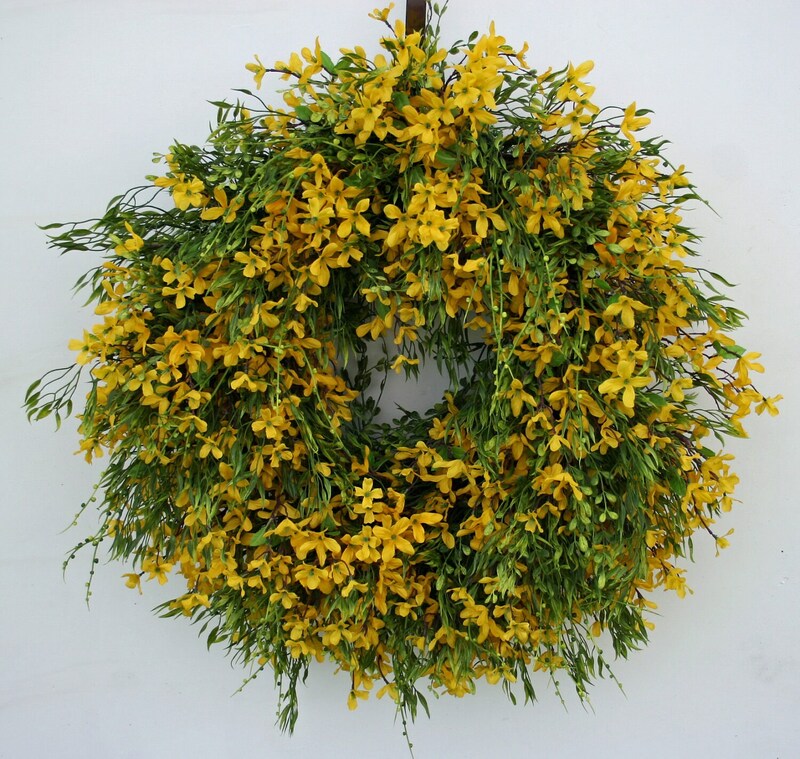 It is packed full of artificial boxwood and weeping willow greenery. 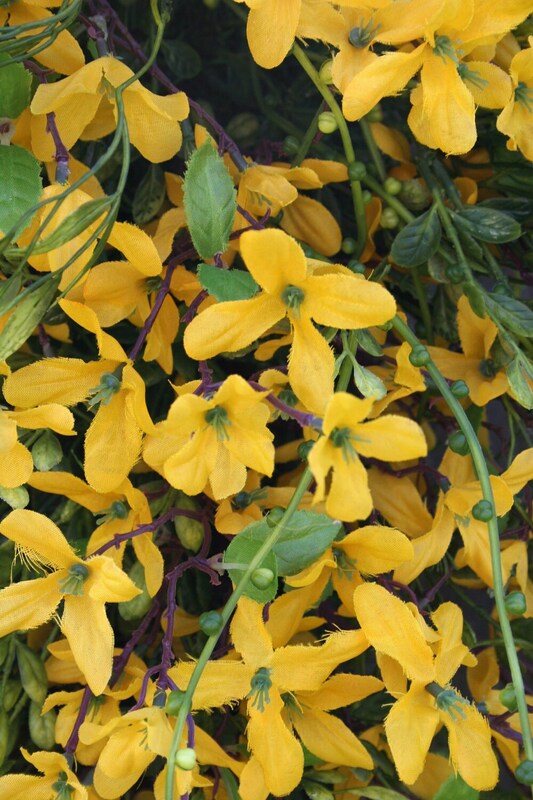 Tons of beautiful, yellow, vibrant forsythia flowers are tucked amid the greenery. 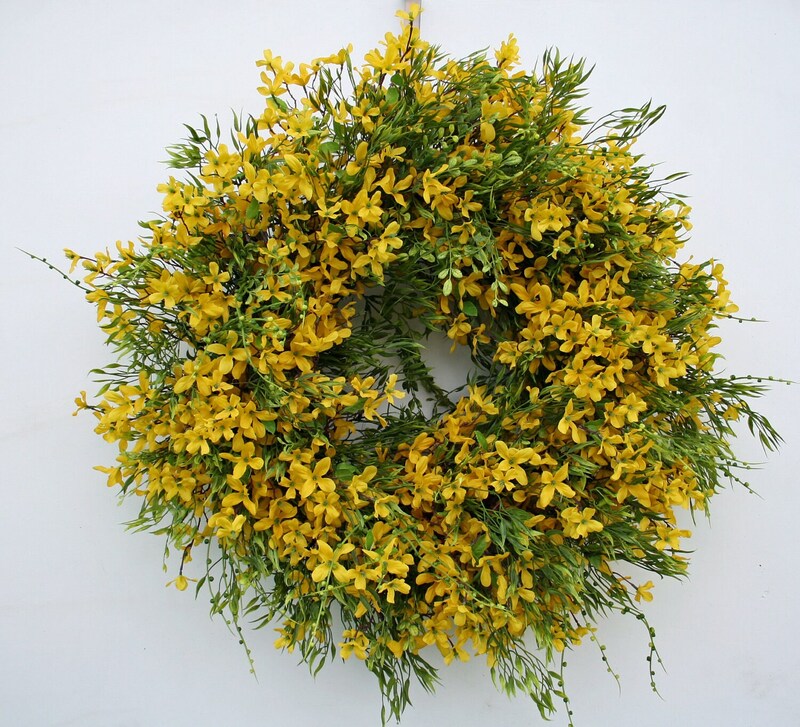 Such a lovely wreath would make your front door shine! This wreath measurement is the diameter (tip to tip) and was carefully hand crafted on a grapevine base wrapped in moss.